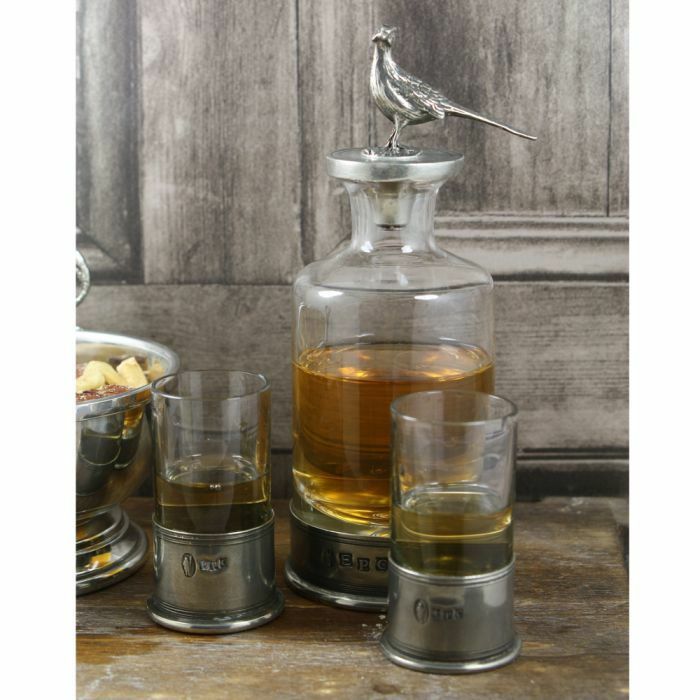 Beautiful items like this 180ml Decanter Set simply scream elegance and style, and are absolutely perfect as birthday gifts for that loved one who enjoys a dram now and again. The chic 13.5cm tall decanter is accented wonderfully by pewter banding around the base and lid which gives this product its unique appearance. 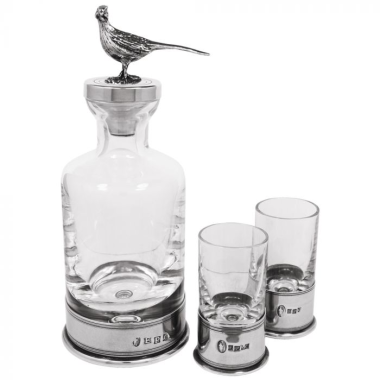 Completed with a stunning solid pewter pheasant that sits atop of the decanter. Accompanied by two equally elegant shot glasses. A truly wonderful example of stylish modern design, the set is supplied complete with its own lined presentation box.